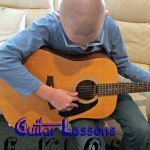 Do you have a child begging to learn guitar? So did I! My oldest has been wanting to learn it for a long time, but I did not have the time to add in another lesson to our schedule! 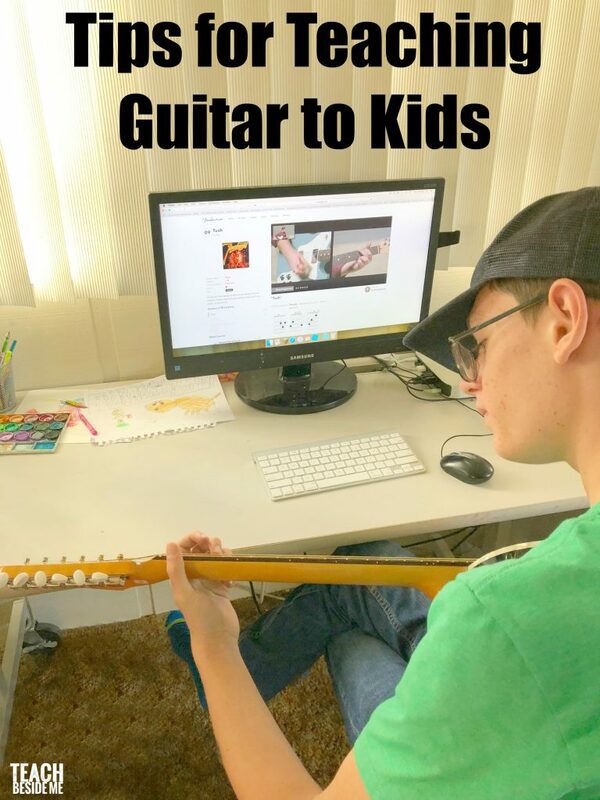 Today I have for you some tips for teaching guitar to kids. AND, if you still need a guitar, then you are in for a treat! Today I have a guitar starter pack giveaway for you guys! How awesome is that? 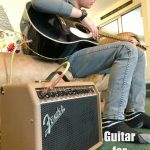 A couple of months ago, we started using Fender Play and my son received a new Fender Guitar and amp. It’s been such a cool experience for us and I want to share some of what we have learned in the process. Make sure you have a working guitar. Obviously this is an important first step to teaching kids guitar. We have three guitars in our house, but I learned something when we got my son his new Fender guitar. He broke one of the strings when tuning it for the first time, so I took it in to get it fixed. While at the guitar shop, the man there told me that guitars need regular tune-ups and repairs (about every 6 months). The strings wear out. I never knew this, but it makes sense, right?! If you are going to teach your kids guitar and you have an old one lying around from when you were learning as a kid, take that guitar in for a tune-up, get fresh strings, and make sure it is in great working order. Need a guitar still? Enter the giveaway at the end of this post! Help them get comfortable with the guitar. Teach them the names of the different parts and the purposes they serve. Help them learn how to hold the guitar properly. There are small guitars for young kids if you need that! I loved that in the Fender Play lessons, they really start from scratch and teach these basics, too. Find a program or website that motivates them and teaches them the basics in a fun way. 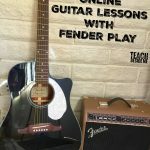 Have you heard of or tried Fender Play? 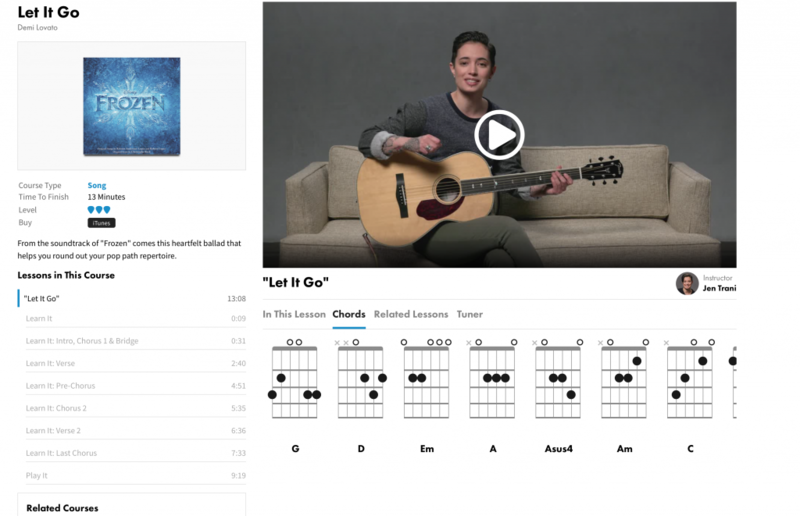 This is an online lesson program for teaching guitar and it has been a life saver for us! I wrote about it already a few months back, you can read more details there. Before using Fender Play, we were just searching online for lessons and ideas and coming up little short. 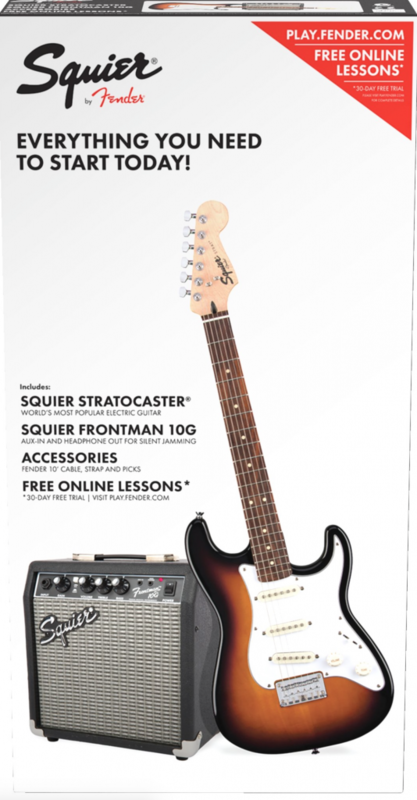 Fender Play has hundreds of instructional videos and exercises for teaching. The Fender Play program starts from the beginning and teaches WELL! New players will be learning and playing within minutes. I cannot believe how much my son has learned in the past few months. Plus, he is really enjoying the online lessons he is doing. Teach them how to tune their own guitar. This is important to know how to do. Help them learn what a tuned guitar sounds like. On Fender Play, they have a tuning video to help you tune it each time you start your online lessons. 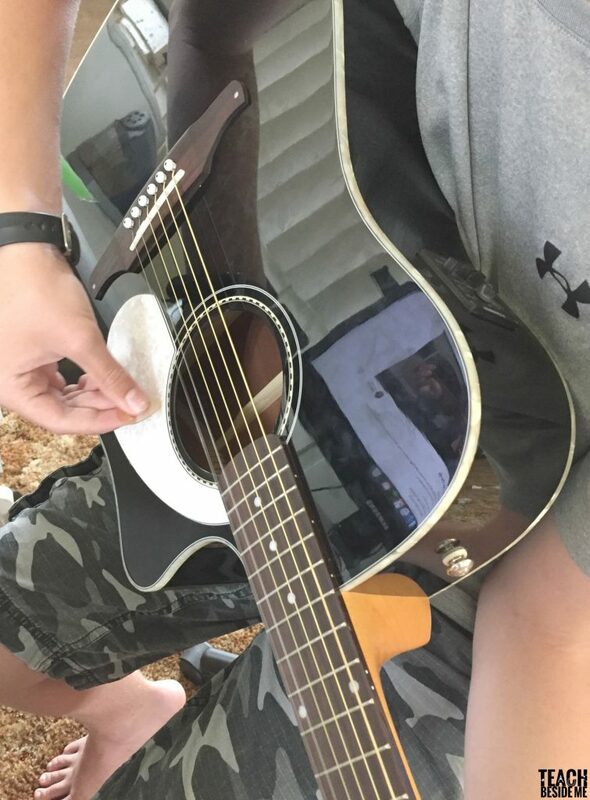 My son tried to do it on his own just with a piano when he got his new guitar and turned it too tight, breaking the string. Having a guide to help them makes a big difference! Teach them a few basic chords and strumming patterns and have them practice, practice, practice. The more they practice and get used to playing the chords, the easier playing will be for them. We did some of the Fender Play lessons, then paused until my son got the hang of the chords really well before moving on. This was really important to his success. I wanted him to really be comfortable with those basics. Create a collection of simplified songs that they love to play. I think one of the most fun things about playing guitar is being able to play songs that everybody loves to sing along to. We went online and found a bunch of songs my son loves with simplified chords and printed out a whole folder full of them for him. Now he can pull out his repertoire and play for his friends and family. Fender Play is fun and song-based. They have a lot of simplified songs and riffs from popular songs that they teach to kids. It makes it so interesting for learning. Set up a regular practice routine. Kids (and adults) thrive on routine. If you have a regular time of day that kids are practicing, they are more likely to do it consistently and continue to improve. Want to learn more about Fender Play so you can start teaching guitar to your kids? They have a 30-day trial period. Definitely check it out!! You’ll not be disappointed. Win a Guitar Starter Pack!! This is a very usedul post. Thank you. Sa-weeet! It’s time to pick my name again I have another kid ready to start learning some chords! 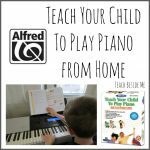 You make it sound fun to learn an instrument…great post! This looks like a great program to learn how to play! As a homeschool dad, I have been teaching my kid guitar from what little I recall from my lessons as a kid. He has expressed an earnest desire to learn and practices every day. This would really help him learn!